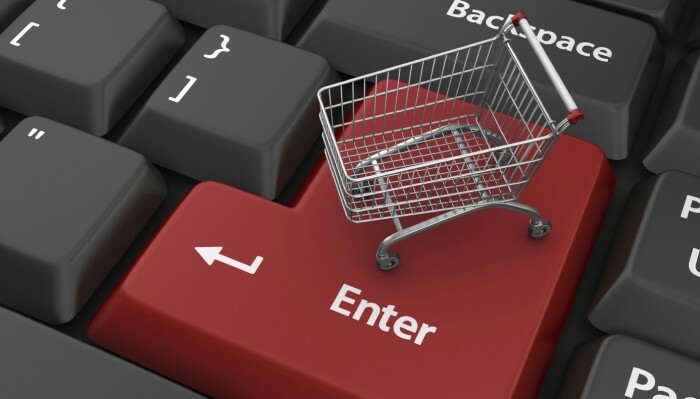 Online shopping is growing into the world’s favourite pasttime. Who can resist the comfort of lying in bed and browsing through cute clothes or handy gadgets, and then purchasing them by simply clicking on the “Add to Cart” button on the website? Online shopping is way more convenient than having to bustle through crowds to find your perfect item, then queuing for ages just to buy it. And that’s why I love apps like Carousell. Being able to shop anywhere I want, and maybe score a lower price for an item that I want? That’s definitely killing two birds with one stone. But before Carousell came around, I used to do all my online shopping on Insta-shops. Back then, in the midst of selfies and #foodporn pictures, a genius decided to clear her closet by uploading flat lays of her used branded clothes on the photo-sharing app Instagram, and selling them at low prices. Soon, many people followed suit, and Instagram found itself a community of Insta-sellers and shoppers, selling preloved clothes, accessories and gadgets, with some even setting up preorders, importing clothes from suppliers and selling them off at profits. The community was so tight-knit that sellers would do “shoutouts” for each other, promoting each other’s Insta-shops to gain followers and hopefully boost their businesses. 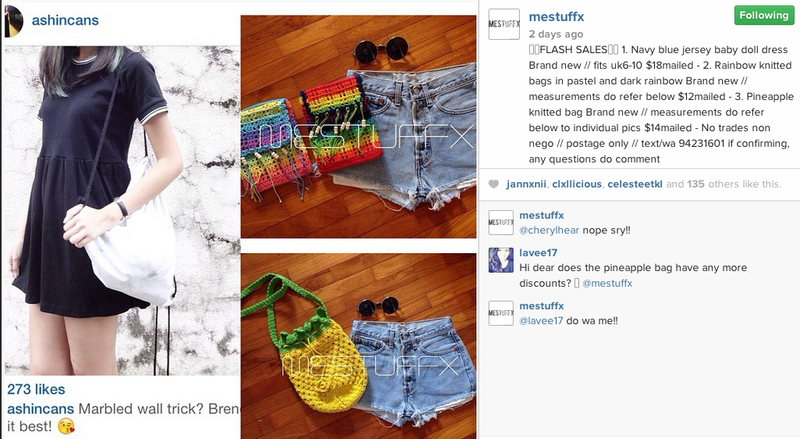 In fact, I also had my very own Insta-shop a few years ago, and successfully sold off some of my clothes. But I soon moved on to Carousell to continue my pursuit of affordable clothes and cheap thrills. The process of shopping on Instagram is relatively easy; potential buyers will usually comment on the seller’s post to enquire about the product, and the sellers will leave their number or email for them to discuss the deal further. Payment details are usually discussed privately through the seller and buyer, and a successful transaction will take place with a physical meetup or with a mailed item accompanied with a bank transfer. Now, even fashion giants have caught on to the Insta-business, but with a slightly different concept. Michael Kors launched an Instagram feature earlier this week, allowing you to shop for clothes and beauty products just by “liking” a picture. 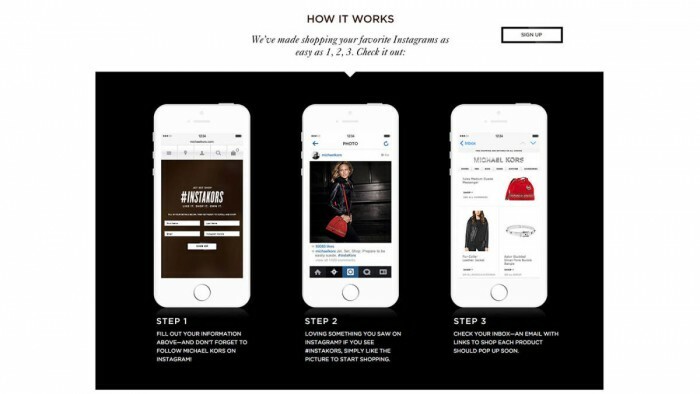 All you have to do is to double-tap a picture with the assigned hashtag #InstaKors, and an email will be sent to you with a link that lets you buy the clothes in that very Instagam picture you have “liked”. 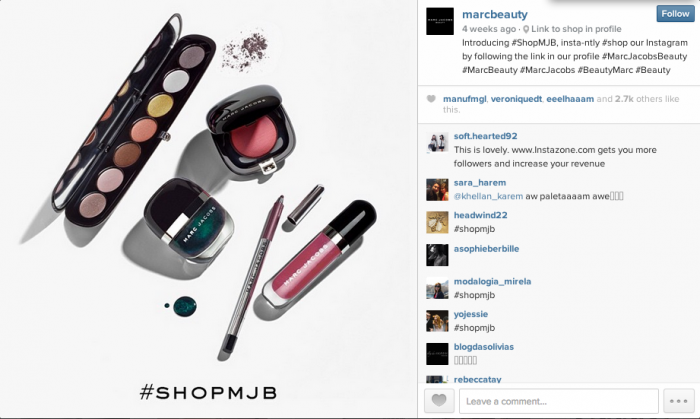 Marc Jacobs Beauty has also launched its “shoppable” Instagram in early November, with the same concept as Kors. “We really do live in a ‘selfie’ world,” Michael Kors says in regards to bringing his business to Instagram, “Everyone is on Instagram. It’s inspirational, aspirational, and now, with #InstaKors, it’s attainable.” One of Kors’ pictures with the hashtag has already garnered more than 75,000 likes, while Marc Jacobs Beauty, which uses the hashtag #shopmjb, garners an average of 3000 likes per post. Now that Carousell is widely used in Singapore, the amount of Insta-shops has definitely decreased, but there are still many that press on, believing in their huge follower base or choosing to stay in their comfort zone. Perhaps it is due to steady increase of Instagram users; the app has shot up to more than 200 million active users since its launch in October 2010. In my opinion, Michael Kors and Marc Jacobs are quick to realize how easily they can use their wide follower base to make sales. Since many people are on Instagram almost every day, a large portion of Michael Kor’s three million followers will definitely see his posts and express their interest in his products; after all, the designer’s brand has been ranked the most promising luxury company this year. I have long given up on selling my used clothes on Instagram, but now that even established fashion brands are using the photo app as a sales tactic, I find myself asking: should consider setting up a mini business or start shopping on Instagram again? Probably. There is nothing more I love that getting “likes” on my Instagram snaps, after all.